How do you develop a thirst for God? By knowing Him more accurately and completely! This six-week Bible study will help you fall in love with God all over again–which will do amazing things for your conversations with Him! Connect with God through this 6-session Bible study and discover what prayer was meant to be: deep, real, and satisfying. This 6-week Bible study teaches you–through actually doing it–how to connect with God more deeply through Scripture. Practical tips and easy-to-follow instructions on how to plan and enjoy a personal prayer retreat. Cynthia Bezek was a contributor to this 80 chapter, 586 page textbook written by 80 different professors and national prayer leaders. It is a complete textbook on prayer designed for seminary students and Christian college students who are training for the ministry. It will also be of high interest to pastors. The content covers both personal prayer issues and concepts and how to grow prayer in a church. 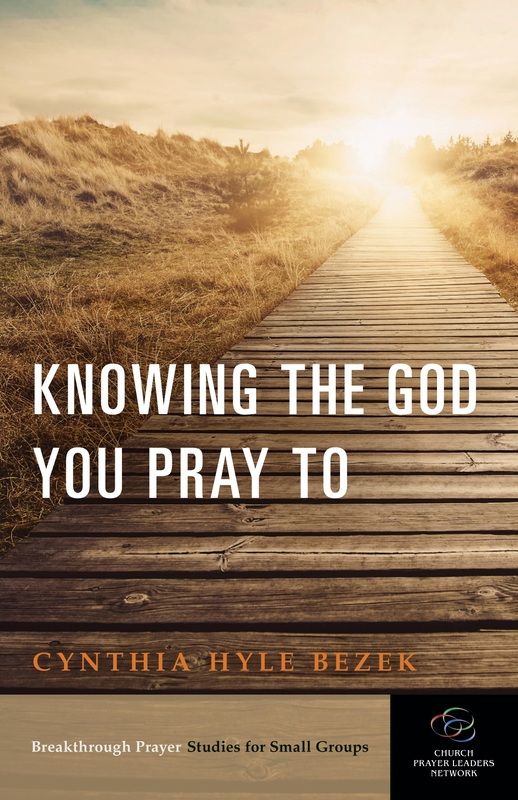 Cynthia Bezek was a contributor to this reference work which provides readers with a global, biographical, historical, topical, and biblical understanding of the origins, development, and contemporary expressions of Christian spirituality. The Dictionary of Christian Spirituality is a unique and valuable resource for pastors, church and ministry leaders, mentors, counselors, teachers and scholars. Our Bible Study group has finished Prayer Begins with Relationship and we are almost done with Prayer and the Word of God. We saw at the back of your 2nd book a reference for “Knowing the God you Pray to” estimated release in 2014. We are really excited to check it out because we have loved your previous studies, but can’t find it online. Has this been published yet? I’m so glad you and your group has enjoyed my studies on prayer! The third one, Knowing the God You Pray To has been delayed by the publisher, but I just checked with him and he said it should be released in mid- to late April. I’ll let you know via the blog when it comes out. Happy to hear your group will be studying Prayer Begins with Relationship. I am glad to send you the leader’s guide by separate email. If you like this study, keep in mind that I have another one, Prayer and the Word of God that’s a great follow up.